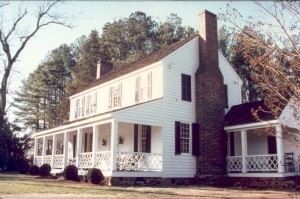 Built in 1829, Beaver Dam is a younger cousin to the Piedmont’s more famous plantations, Rural Hill (1788) and Latta Place (1800). 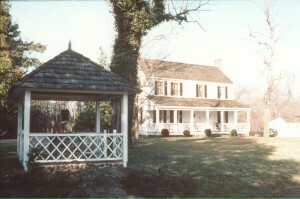 The second story house built on the site, this two-story, Federal style house was home to Major William Lee Davidson, II and his wife, Betsy Lee Davidson. 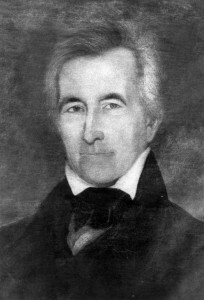 Major John Davidson, Betsy’s father, also lived with the couple until his death in 1832. William Lee Davidson II was the youngest child and namesake of General William Lee Davidson. General Davidson was killed during the American Revolution at the Battle of Cowan’s Ford. Major John Davidson also fought in the American Revolution. After the war he served as a magistrate and was involved in both agricultural and iron industries. William Lee Davidson II was a prosperous farmer. The Beaver Dam plantation lands eventually encompassed 785 acres and had 25 to 30 hands. The plantation grounds included the house, a large garden, a smokehouse, a chicken house, and slave quarters. In addition to farming, William Davidson experiments with silk culture, planting mulberry trees and silk rooms and hatcheries. Unfortunately, the costs were greater than the sales and he abandoned the effort in the 1840s. An effort he did not abandon was Davidson College. Mr. Davidson and Beaver Dam played a significant role in the founding of the college. At a committee meeting held at Beaver Dam on May 13, 1835, the decision was made to purchase lands from him for the site of a new college. A few months later, on August 26, 1835 the decision was made to name the college for General William Lee Davidson. Although Mr. Davidson would leave North Carolina in the 1850s, he did not forget the college and left the college a sizable legacy in his will. The Davidsons had not children but frequently opened their home to relatives and students. 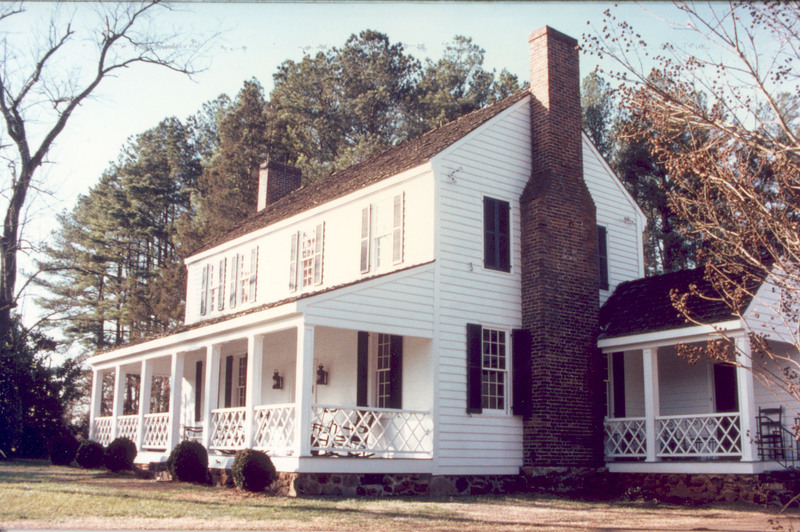 Mrs. Stonewall Jackson, Betsy’s great-niece and daughter of Robert Hall Morrison, Davidson College’s first president, recalled: “Ah what a happy home was Aunt Betsy’s–the sun light seemed to shine there with a calmer rest and radiance than elsewhere. Nobody else had so well managed a household,–nobody else such delicious cooking–nobody else such a richly stored winter fruit room–apples, peanuts and hickory nuts in such abundance,–nobody else such a dairy and such a produce yard. Her love for me seemed to communicate itsefl to the slave women of her household, and Aunt Rose, and Aunt Phoebe, Ruthy and Rachel, Letty and Katty seemed to vie with each other in trying to make me happy. Aunt Betsy was not rich, but what is the use of wealth if people can be so comfortable and happy without it…” [quoted in The Plantation World Around Davidson]. John Brevard Alexander, a great-nephew of Betsy’s, remembered the tradition of senior dinners at Beaver Dam after final examinations. The Davidsons also took in and nursed students who fell ill during the school year. Betsy Davidson died in 1845 and soon thereafter William Lee moved to Alabama. Beaver Dam went out of the Davidson family for almost one hundred years. It was brought back in 1937 by Chalmers Gaston Davidson, a collateral descendent of William Lee and Library Director and history professor at Davidson College. Dr. Davidson restored the house in 1945-1975. It was listed as a Charlotte-Mecklenburg Historic Site in 1977 and placed on the National Register of Historic Places in 1979. In 1998, Davidson College purchased the house and eight acres of adjoining lands and leased it to the Town of Davidson as a public park.